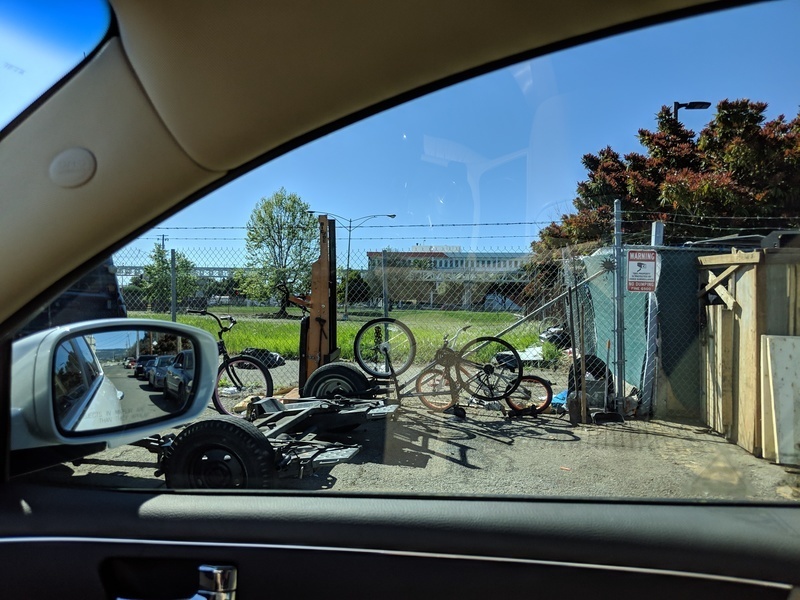 Homeless guy who has built a fortress on private property - keeps collecting these bicycles as well as dumping them and other debris. He really needs to move along. He is within 300 feet of the Charter Lighthouse School entrance. Kids, parents & teachers don't need to be navigating through this stuff. Very questionable activity. File a complaint with code enforcement 238-3381 to see if he has a the proper permits for his tweaker fort and fire trap. Thanks will do. You are right - it's a tweaker fort. He's a nuisance. Marie garbage dumped. Garbage up and down the street from one end to the other. OAK 311 has received this issue. Your service request ID is #894847. Please check back for status updates, or contact us directly at 510-615-5566. This is just one photo. You can drive from one end of the block to the other and there is garbage the entire length. Can a supervisor take a drive down this street? 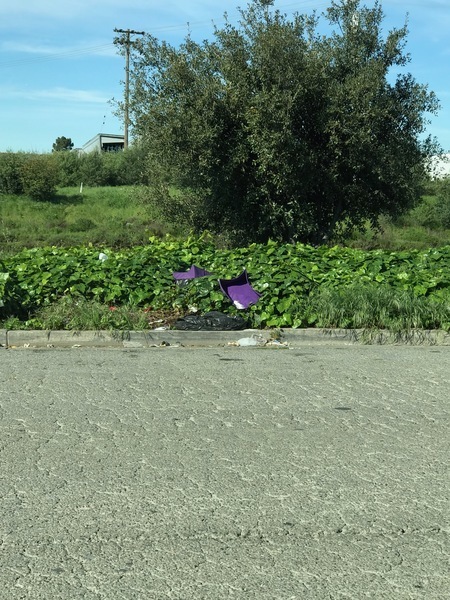 When a pile of garbage is reported, only the pile in the photo is picked up. While there, please continue down the street and pick it all up. It would be really nice to drive down a clean street. 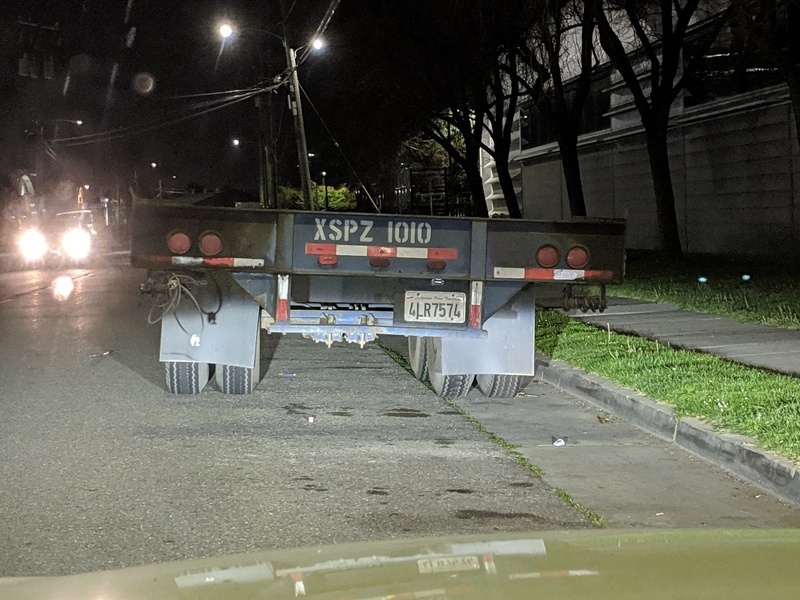 The City of Oakland addressed this issue on 04/14/2019, service request #894847. OAK 311 has received this issue. Your service request ID is #897086. Please check back for status updates, or contact us directly at 510-615-5566. More crap from this guy - it's ongoing. What gives him the right to build himself a fortress - which is now under his lock & key on PRIVATE PROPERTY! This is within 300 Ft. of the Lighthouse Charter School's entrance on Hegenberger Loop. It's about 95 Hegenberger Loop across from Pacific Auto Collision. The guy is hostile and sketchy. 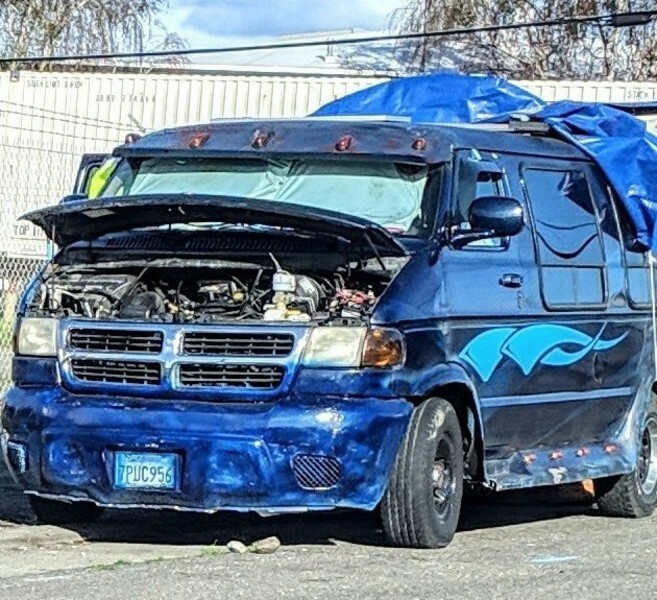 Blue with black flames on side Van. Believe it's a Dodge with blue plastic tarp on roof, towing an empty car trailer. This is in front of the Lighthouse Charter School. Taking up valuable parking for teachers and parents. Questionable activity being conducted out of the van. Plus they were just moved from 35 Hegenberger Loop and left a lot of garbage. Kids don't need to be navigating through this activity or mess. OAK 311 has received this issue. Your service request ID is #897084. Please check back for status updates, or contact us directly at 510-615-5566. Another photo - need to move. Truck trailer rig left in front of the parking & near entrance to Lighthouse Charter School - preventing parents & teachers from using precious parking to drop/pick up kids. OAK 311 has received this issue. Your service request ID is #897074. Please check back for status updates, or contact us directly at 510-615-5566. 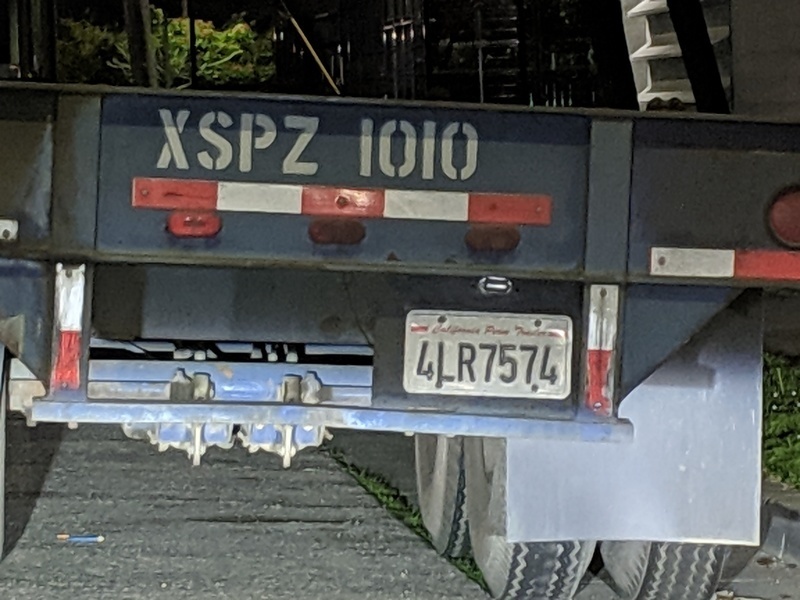 Ca License #4LR7574 - Big Rig Trailer - left abandoned - 3+ wks. Photo White Box Truck - #89263J1. Been there for over 3 weeks. OAK 311 has received this issue. Your service request ID is #897069. Please check back for status updates, or contact us directly at 510-615-5566. Another photo of abandoned White Box Truck - #89263J1. There are literally about a hundred pot holes on Pardee Drive between Hegenberger and Swan. It has been that way for months (maybe years?) Cars have to swerve around the potholes to avoid hitting them, causing near accidents when cars go into the adjacent lanes. OAK 311 has received this issue. Your service request ID is #896557. Thank you, in advance, for your patience as we work through a backlog of pothole service requests. Unfortunately the City does not have enough funding to repave all streets in poor condition. With limited funding, our response to resurfacing requests is limited to minor pavement and pothole repairs only. Our Street Maintenance Department will assess your street and determine whether temporary measures might be appropriate. Please understand that this work may be limited to pothole or other minor repairs, and that we have many similar requests. We will do our best to respond in a timely manner. 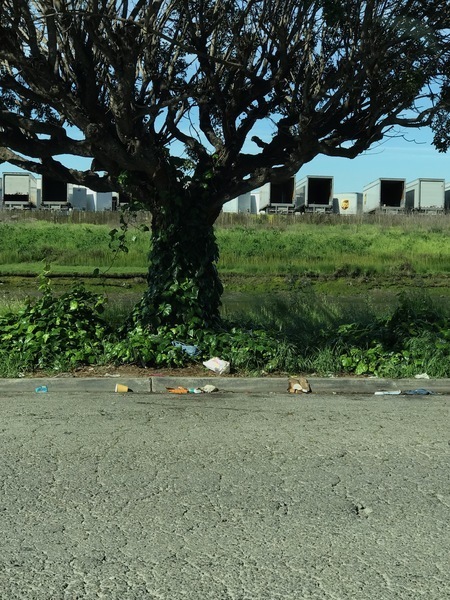 The backlog of streets in Oakland needing pavement currently is $435 million and growing. It's horrible due to all the rain and the big UPS & FedEx semi's. Driving on Pardee by the Union Hall, Post Office, Comcast is like avoiding landmines. Thank you for your request. According to our system, we already have an open service request of this kind at this location. Your request has been combined with service request #892356. If you would like to check the status of the request, please contact OAK 311 at 510-615-5566 or OAK311@oaklandnet.com. This issue can also be followed by watching http://seeclickfix.com/issues/5654388. OAK 311 has received this issue. Your service request ID is #887201. Thank you, in advance, for your patience as we work through a backlog of pothole service requests. Unfortunately the City does not have enough funding to repave all streets in poor condition. With limited funding, our response to resurfacing requests is limited to minor pavement and pothole repairs only. Our Street Maintenance Department will assess your street and determine whether temporary measures might be appropriate. Please understand that this work may be limited to pothole or other minor repairs, and that we have many similar requests. We will do our best to respond in a timely manner. The backlog of streets in Oakland needing pavement currently is $435 million and growing. 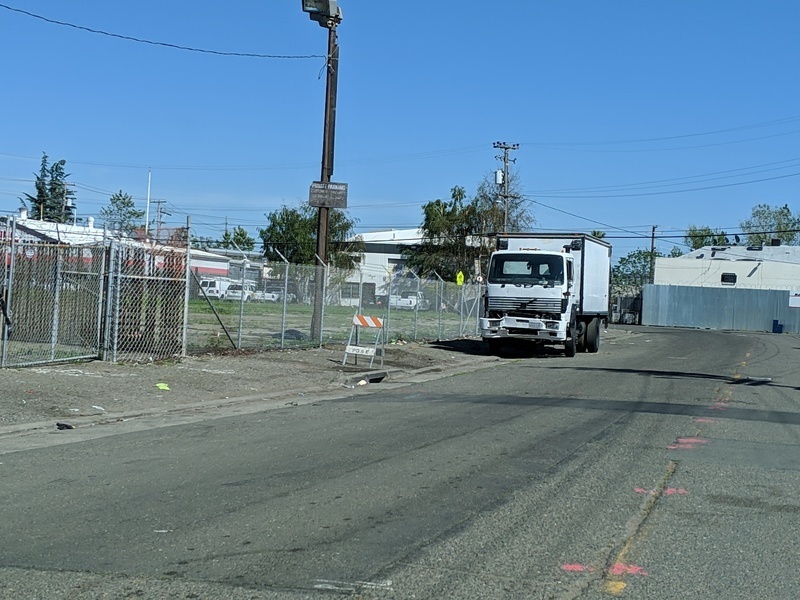 The City of Oakland addressed this issue on 04/17/2019, service request #887201. OAK 311 has received this issue. Your service request ID is #896287. Please check back for status updates, or contact us directly at 510-615-5566. It is actually a Mazda, not a Mitsubishi. OAK 311 has received this issue. Your service request ID is #894541. Please check back for status updates, or contact us directly at 510-615-5566. 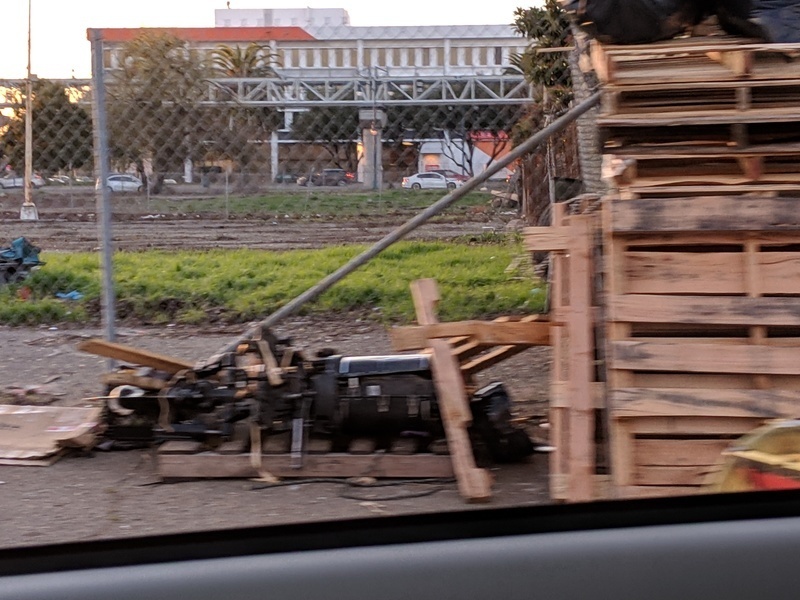 The City of Oakland addressed this issue on 04/15/2019, service request #894541.